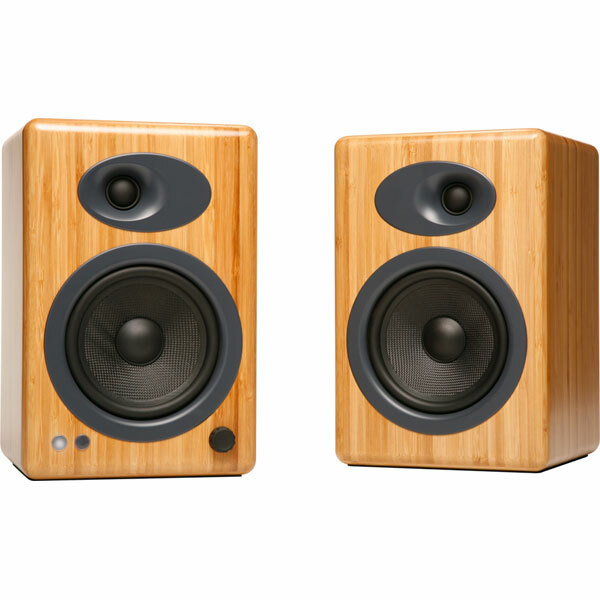 Audioengine A5+ Premium Powered Speakers deliver audiophile quality sound and features at a price that continues to set the standard for affordable high quality audio. 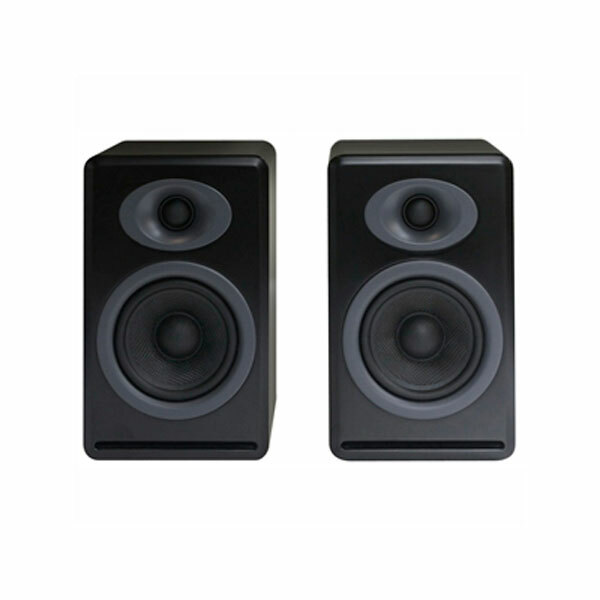 Connect to your iDevice, computer, TV, or any other audio component for great stereo sound in any room. The goal of Audioengine is to provide a high end listening experience at affordable prices with easy to use, high quality products. 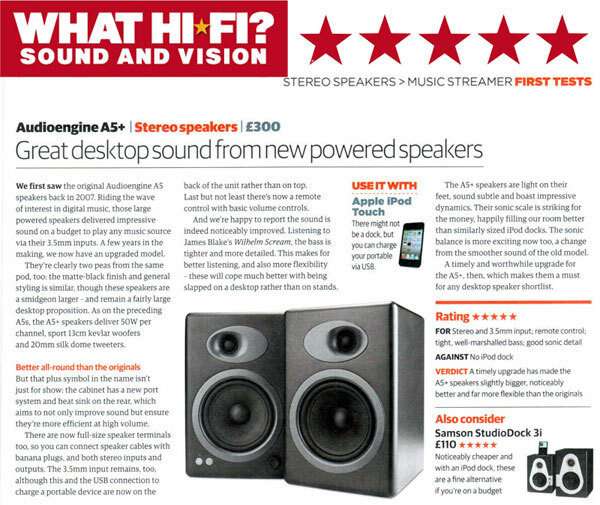 The Audioengine A5 powered speaker system was Audioengine's flagship model and has become a best seller. The new A5+ has the same award winning signature sound as the original A5 but includes customer requested upgrades and features. 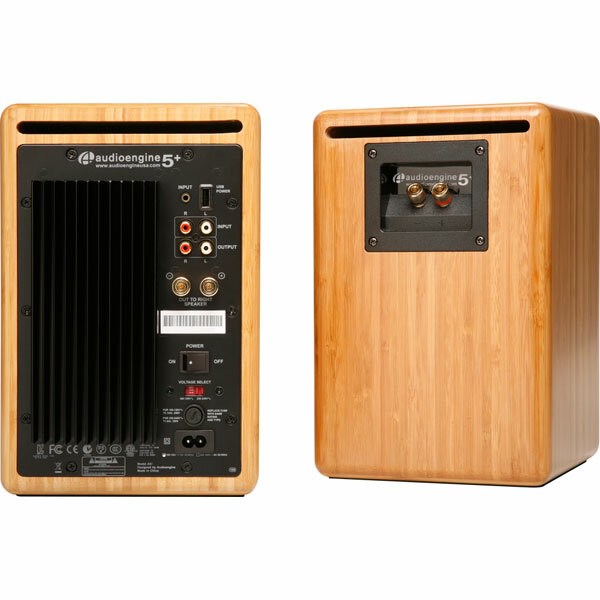 With custom Kevlar woofers, silk dome tweeters, and hand built cabinets, the Audioengine 5+ includes a remote control, dual audio inputs and enhanced thermal management. You can charge your iDevice via the USB power port and also add a subwoofer to the variable output. Connect Audioengine 5+ to your computer's headphone jack or pair with a USB DAC to achieve an even higher level of sound quality. The Audioengine 5+ works with any computer and there's no software to install or settings to change. You won't hear any enhanced super mega hyper monster boomy bass from these powered speakers. As with the original A5, the low end from the A5+ is real bass, very near to the originally recorded music. From rap to classical to movies, you'll get tight, punchy bass with an awesome growl that will make you smile regardless of the volume level. 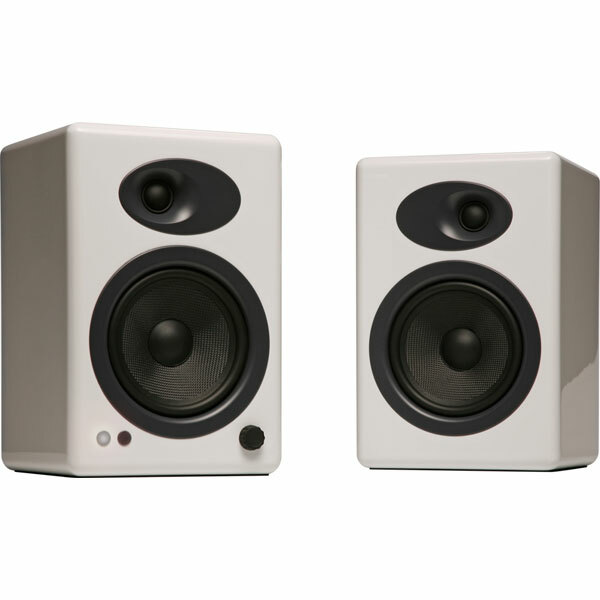 The Audioengine 5+ Premium Powered Speaker System delivers the audio performance and aesthetic quality expected from Audioengine and continues to close the gap between your computer music and home hifi. 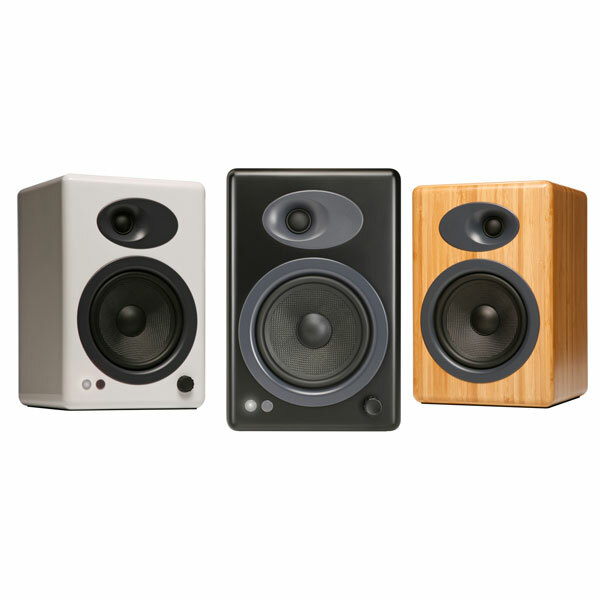 Even if you're not an audio enthusiast we guarantee your music will sound better!